The rise of mobile wallets gave us a glimpse of what the future holds. Sooner or later, we will no longer use actual cash – may it be paper or plastic. Day by day there are new innovations and it brings us closer to being a cashless society. Mobile wallets are a good example of how the financial technology industry is contributing to the road to being cashless. These mobile wallets give us the ability to send and receive funds wherever we may be. Today’s traditional way of sending funds is still a complicated process. You have to go to the bank or money transfer centers, fill out the forms, and provide valid IDs before you can send the funds. When it comes to the loved ones who will receive the fund you sent, they also need go to the bank or money transfer center to check if the fund has been credited, provide valid IDs, and sign some documents before they can get a hold of the funds. Now, imagine this: you are selling cigarettes everyday with your month-old baby and this causes her to get sick. Your husband works on a night shift and you really need funds for her medicine. But you were only able to sell enough for food. Your husband tries his best to look for funds from both of your side of the family. With Paycent, you wouldn’t have to worry that much during emergencies. You can request, send, and receive funds with just a few swipes. No more hassle. Paycent offers you the convenience of sending and receiving funds anytime and anywhere. Especially during emergencies, you don’t have to go door to door and ask your relatives personally. 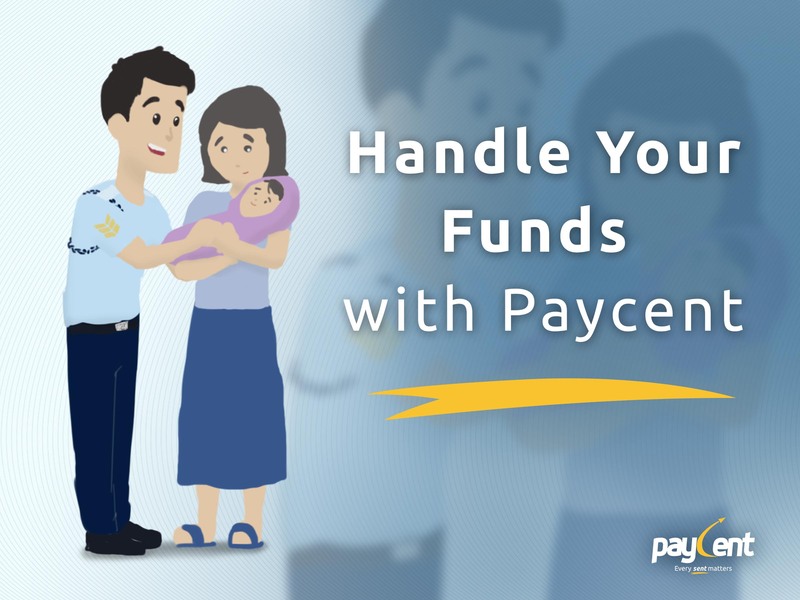 Paycent is here to provide hassle free handling of your funds. Also checkout how Paycent helps people have more time with the things that matter.